One of the important things we try to do here at Bici Bucerias is give you the opportunity to arrive in Mexico ready to ride without having to think of all the other things that go along with a typical vacation. Our all-inclusive tour includes accommodations (based on double occupancy with single options), airport pick up and drop off, basic mechanical support, daily breakfast (in your villa), 4 dinners, and five guided and supported rides. In most instances we provide accommodations at one of our own properties (see www.MyMexicanVilla.com ). We also take you to our favourite and proven dining spots so you can explore the culinary scene here in Bucerias and not be stuck eating "hotel food". Guests are responsible for their own airfare and alcoholic beverages (although we have been known to buy a round of margaritas every now and again!). Our All Inclusive Tours are available from $1,100 USD based on double occupancy. Single occupancy rates are quoted upon request. All of our All Inclusive Tours now include 5 FREE DAYS OF YOGA. For a great article on how yoga can benefit you as a cyclist CLICK HERE. A weekly rental and guided ride option is great for those guests who wish to book their own flights, accommodations etc. This is a fantastic option for people booked in to an all Inclusive. One of the most convenient hotels to stay at is right across the street from us at the Royal Decameron. These tours are priced from $399 - $549 USD and includes a high performance road bike and 3 - 5 days of scheduled guided/supported rides. Bringing your own bike? Ask us about a guided rider price only! 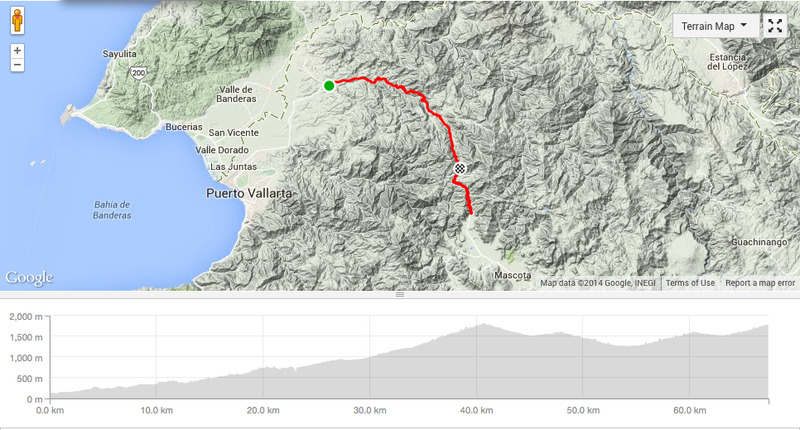 One of our favourite climbs has us intermediate and above groups starting in Bucerias and climbing to La Estancia. We normally descend to Las Palmas and catch a ride home. Option to start in Las Palmas as well as start and finish in Bucerias. A challenging series of climbs that has us starting in Las Palmas and finishing in the majestic town of San Sebastián. The last 10 km from La Estancia to the San Seb will require tenacity and strength as you power through double digit paved grades as well as 3 final kms of cobble! Here we climb from Las Palmas to the top of "el Paso de la Virgen". 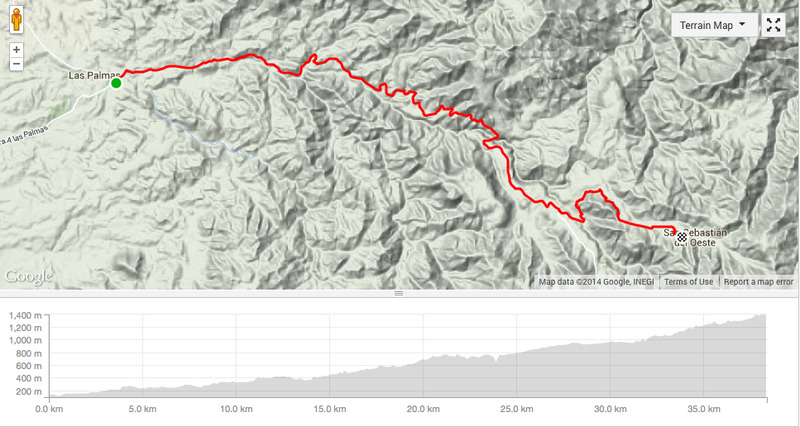 The first 33 km are fairly tame with lots of up and down and 5 to 7% gradients. The last 7 km are nothing short of leg busting, never ending, wish you were back on the beach kind of climb. Well if climbing the virgin is not enough, we will take you over and descend to the plateau below and then turn around and climb back up the other side of the mountain. YES WE HAVE MOUNTAIN BIKES!!! Come explore some amazing XC riding. Whether you are looking for ultra distance with thousands of meters of climbing or some nice chill routes to go bang out a few hours of peaceful XC, we have it all. A weekly rental and guided ride option is great for those guests who wish to book their own flights, accommodations etc. This is a fantastic way for people booked into an all Inclusive. One of the most convenient hotels to stay at is right across the street from us at the Royal Decameron. These tours are priced from $299 USD and includes a mid level, well maintained and newer hardtail and one intro ride to show you all the cool trails. Additional guided rides are available subject to availability including BEYOND EPIC day trips. This is the perfect tour for a group of riders who want to come down and do some specific types of rides. Are you interested in doing an epic 5 day trip through the mountains with stops in some of the coolest towns, villages and even cities such as Guadalajara? Are you part of a cycling team and you want to come down and do a week or two of serious training including race simulation such as motor pacing? Well... we can help you with that. Simply contact us with your request and we will do our best to make it happen! This is perfect for the rider who is in the area and wants to go on a casual to moderate road ride or two. Choose from 3 flat rides on quiet farm roads with distances ranging from 40 to 80 km as well as one more challenging ride that will include a few climbs and a total distance of 60 km. Guided and supported rides are priced from $49 to $150 USD and include bike rentals. Simply contact us with your request and we will book you in! Taming the Virgin x 2 - conquer the highest and toughest paved pass in Jalisco with grades in excess of 18% and do it twice as we will ride up and over and then back! 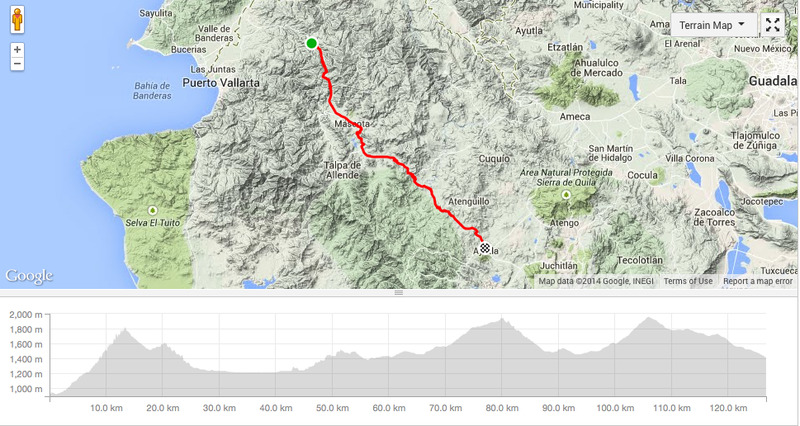 Ride over 150 km and climb over 3000 meters. Ride starts in Bucerias and ends in Las Palmas. Feeling cheeky? Add an epic climb from La Estancia to San Sebastian to the itinerary. It is another 450 meters but a lot of that gain includes sections of double digit grades and 3 km of leg busting cobble. Truly majestic. Taming the Virgin Out and Back - Conquer the highest and toughest pass in Jalisco with grades in excess of 18%. The ride starts in Bucerias and heads east along quiet paved farm roads. We will cross the Ameca River and take on 12 km of hard packed dirt before we arrive in Las Palmas where we will mash through the town's cobble streets before beginning our climb. 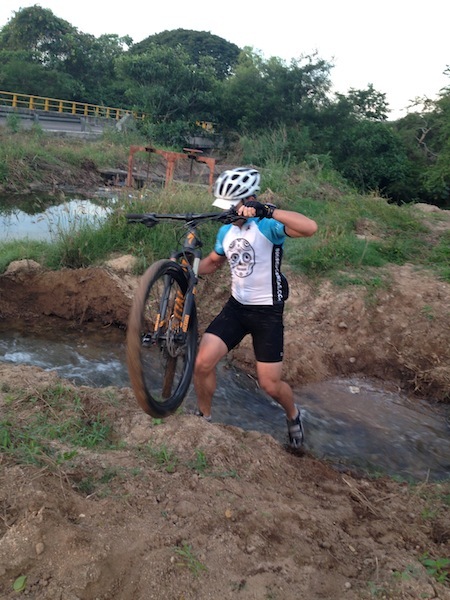 This ride starts and finishes in Bucerias. El Tuito - This ride starts in Bucerias to Puerto Vallarta and then continues along the coast past Mismaloya where we then begin our climb to El Tuito. We return to PV and have lunch at Joe Jack's Fish Shack before catching the Bici Bucerias shuttle back to Bucerias. Part of this ride includes some urban riding. Riders must be comfortable riding in city type traffic before we get to the quieter section of the route. This ride is not for everyone, but is one of Joel's favourites that he does on his own regularly. Either of these three rides can be changed to suit the rider or the group making the booking. There are options to ride by the support vehicle to the start of any of these climbs. Distance can also be modified according to your wishes. This is basically a private custom day so you should get exactly what you want! To book an Epic Tour simply contact us with your request including potential dates. We will likely have some questions and can talk more via phone or email to make sure that we understand exactly what you are looking for.